In a complacent little village of Orissa live the masters of the Ikat (Resist-dye) weaving technique. A master weaver’s wife shared her husband’s achievement’s and awards from the Govt., while her three sons translated in broken Hindi. The proud mother also spoke about how educated her kids were and that they had passed their BA exams. I think the sons felt too modest to translate this one 🙂 Dilip and his brothers are from this humble Oriya family of weavers. They are in their twenties and are skeptical about continuing their father’s legacy. Although, I think Tulsiji from (Manab Adhikar Seva Samittee (MASS)) took us to particularly to them because they are brilliant at their work! Tulsi Ballavdash has been working on encouraging the youth of this district to continue Ikat weaving for over ten years, since he discovered in one of his researchers that the number of ikat weavers in Orissa was dropping considerably. Since then he has been trying to expose the young weavers to the contemporary market and getting them business with least involvement of middlemen. 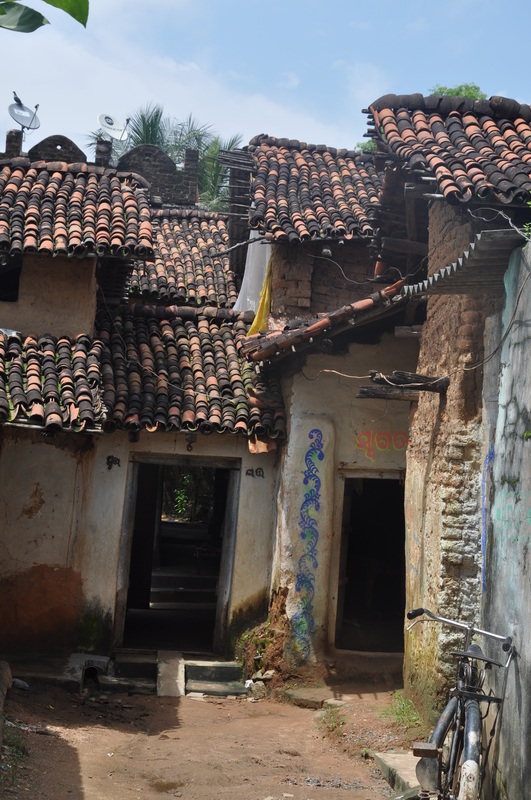 There are four major weaving communities in Orissa. We became familiar with the ‘Meher'(!!!) 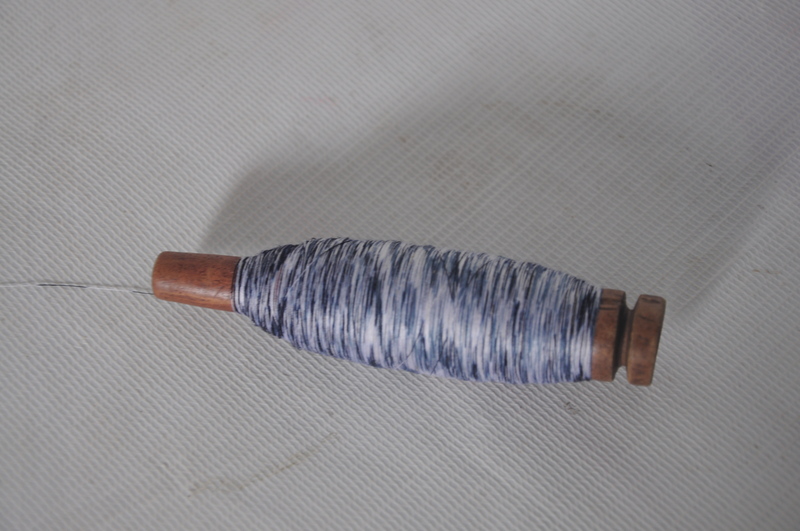 community that is famous for both single and double ikats in cotton and silk. These communities mainly weave saris or yardage for dress material. There has been very little intervention in the village of Tope, but an exercise of explaining to them to the contemporary market with photographs, showing them how much potential their technique and fabrics could have and what they could be converted to and what we would like to create in collaboration with them helped create a good understanding with them. Dilip and his brothers will also be sampling my designs. 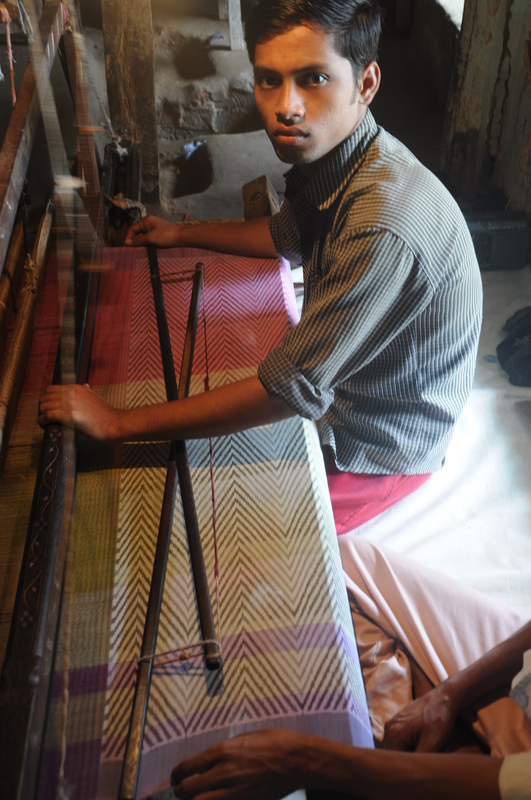 Dilip weaving a single ikat Akaaro Sample.